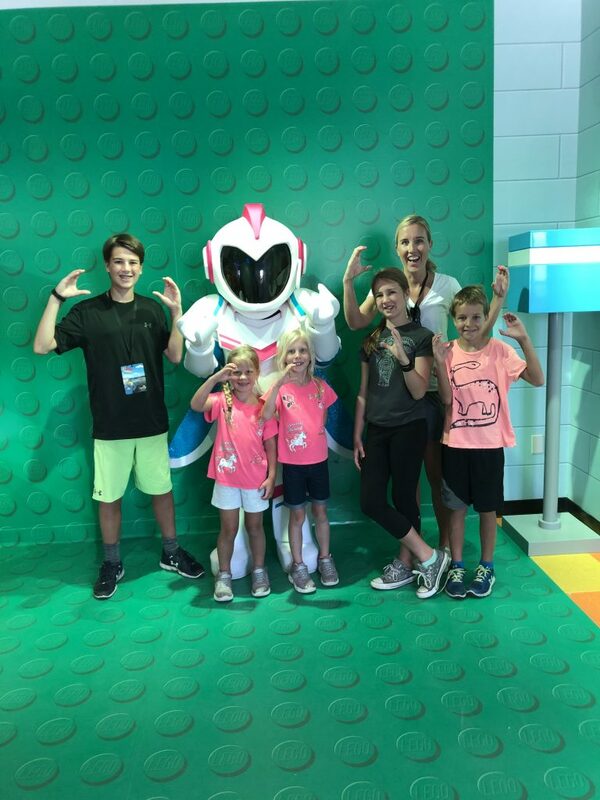 The Lego Movie World at Legoland Florida: All Your Questions Answered! Everything is awesome! 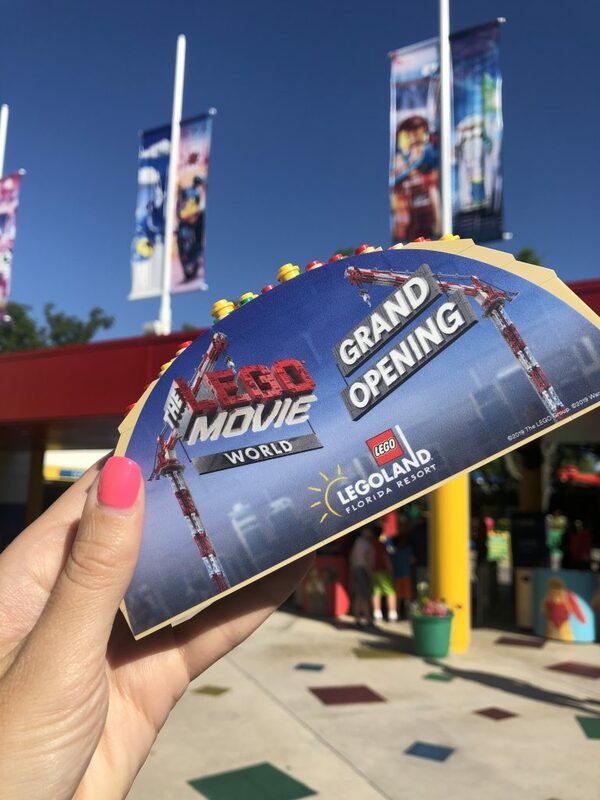 That really is the motto of the brand new Lego Movie World at Legoland Florida! If you are a frequent visitor to Legoland Florida, you have probably noticed a huge area of the park that was under construction for about a year or so. 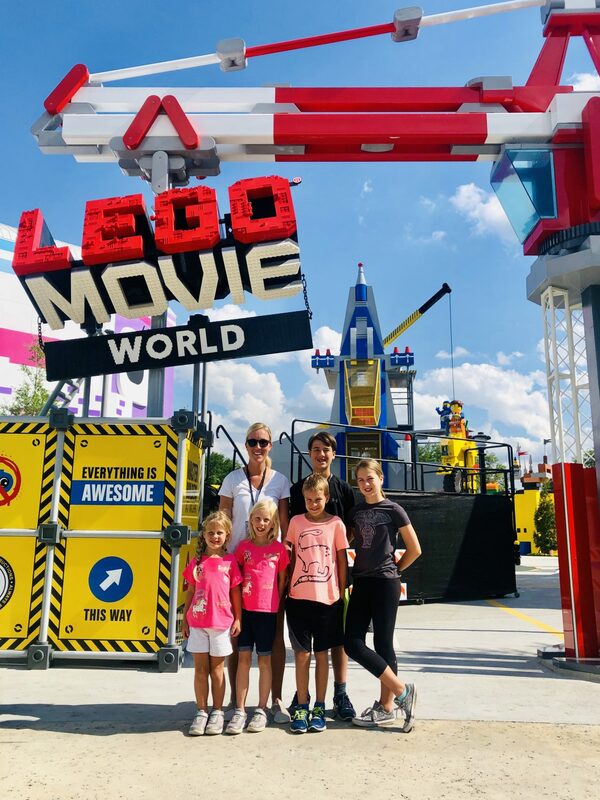 If you have children, you are most definitely aware of the “The Lego Movie” and “The Lego Movie 2.” And finally, with as much fanfare and color as you would expect, the best of these two things, the Lego Movie World has opened! I had the extreme pleasure of attending the opening of this new land at Legoland Florida! I’ve shared about Legoland Florida from our visits in the past and you can read about those here. But now I am answering all of your burning questions about this awesome new Lego Movie World at Legoland Florida. 1. What are the height requirements for the rides at The Lego Movie World? The Lego Movie World at Legoland Florida contains three awesome rides. The first, Unikitty’s Disco Drop, is a fun free fall tower ride. 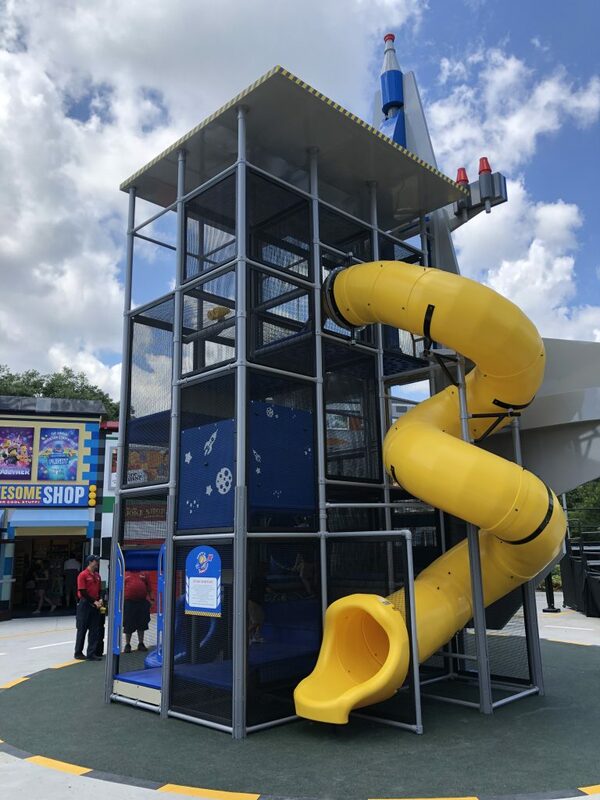 For this ride at Legoland Florida, you must be at least 40 inches to ride, and if you are between 40″ and 48″, you must ride with someone 14 years or older. When we rode, my 6 year old nephew, who does not like scary or thrilling rides AT ALL, was considering his options. He was a little unsure about riding Unikitty’s Disco Drop while we were waiting in line. At the last minute, he decided to be brave and try it! He loved it! 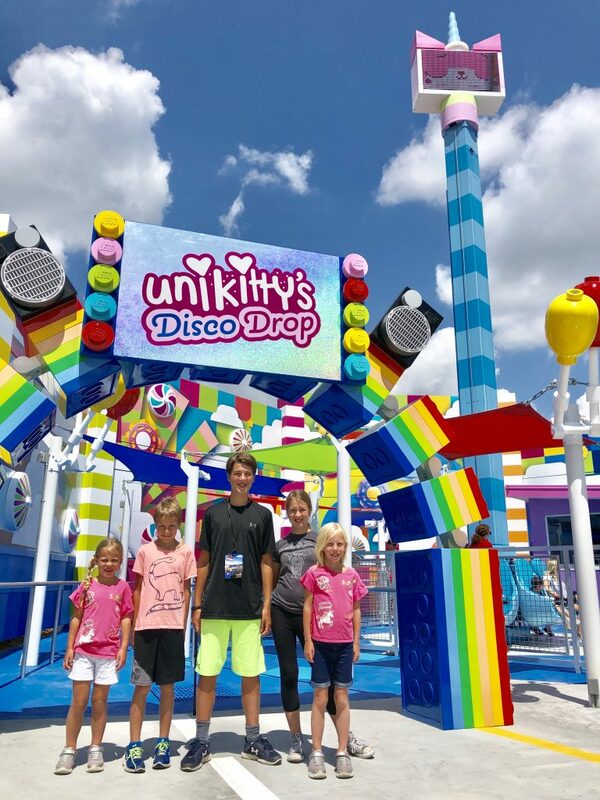 Unikitty’s Disco Drop is tall, but it’s not too overwhelming for the little ones in your group. We also had a 4 year old thrill seeker in our group, and he also loved it! 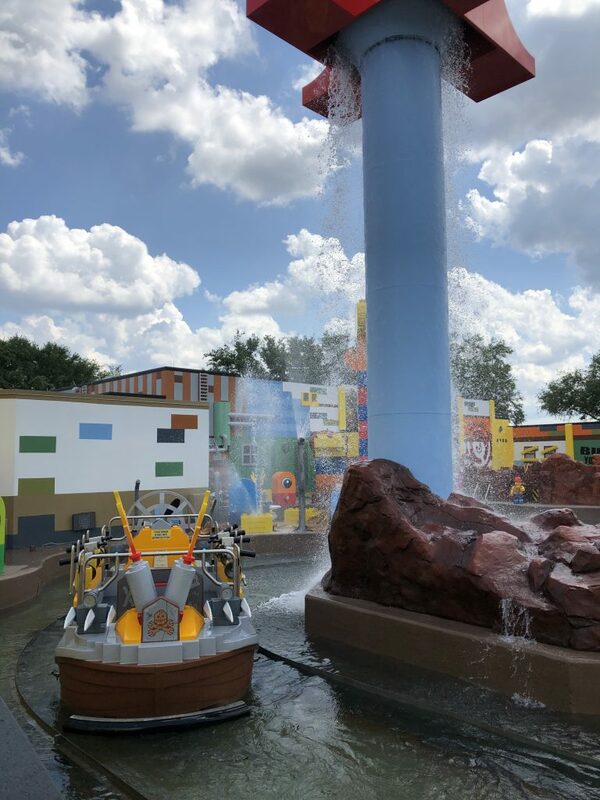 If you’ve been to Legoland Florida in the past, you will recognize the new Battle of Bricksburg as a repurposed The Quest for Chi Splash Battle ride from the former World of Chima. This is a ride where you spray water cannons and get absolutely soaking wet! For the height requirement for this ride, you must be able to sit upright without any assistance. If you are under 48″ or under 6 years old, you must have a responsible adult ride along. To be honest, I’ve never been on this ride, either in the former Chima version or in the new Lego Movie World version. I really don’t like getting wet when I’m in my clothes! But my boys loved it and were even photographed laughing and enjoying themselves by the Orlando Sentinel for their article of the new land! This is the flagship attraction of the Lego Movie World at Legoland Florida. The LEGO Movie Masters of Flights is housed in a beautiful and colorful building, and serves as the beacon for the new land. For this ride, guests under 3 years old or under 40″ are not permitted to ride. 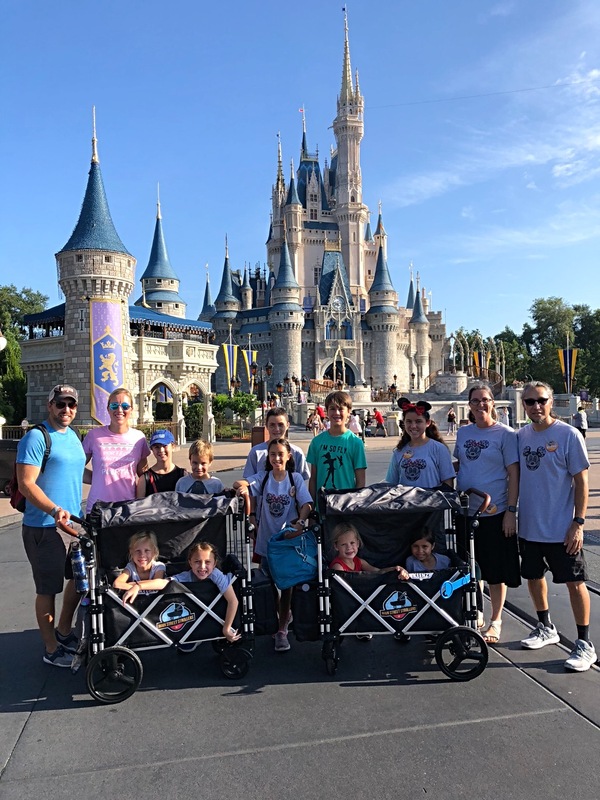 Guests between 40” to 52”, and 3 to 8 years of age, must be accompanied by a supervising companion age 14 years or older capable of ensuring the child’s safety and seated next to the child. If you’ve been to Epcot at Walt Disney World, it will help you to know that this ride is very similar to Soarin’ at that park. 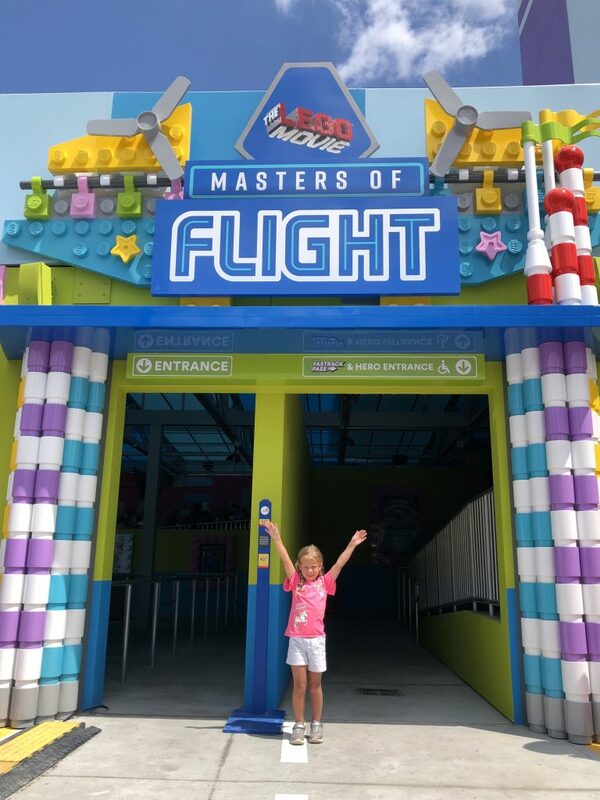 If you love Soarin’, you’ll love The Lego Movie Masters of Flight ride! And if you love Legos, you’ll love this ride even more! In this attraction, you board Emmet’s three story triple decker couch, and and fly though scenes from the movie. 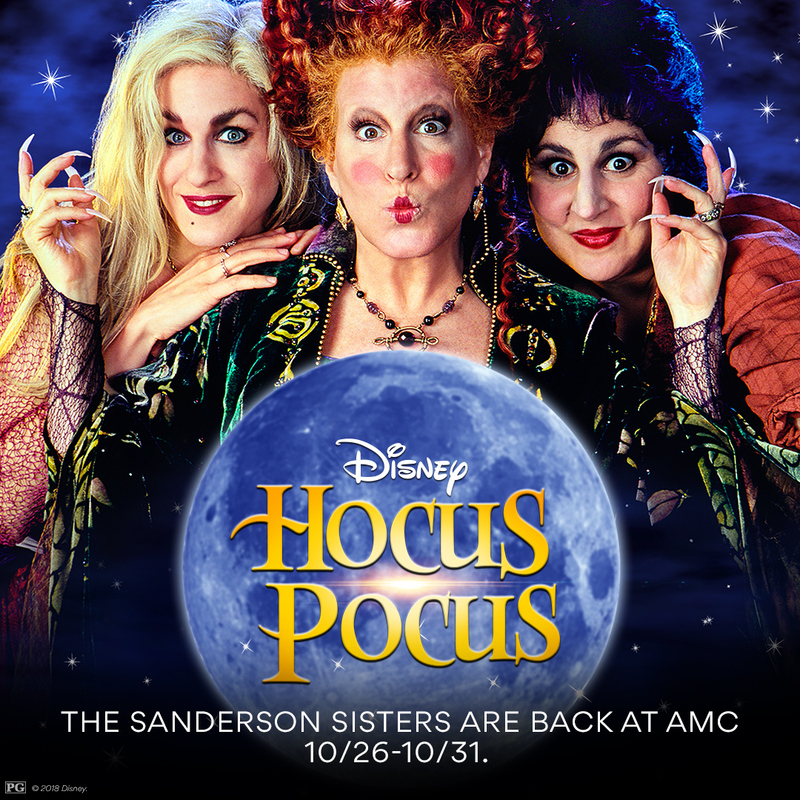 There are smells and sounds and special effects that you just have to see to believe! 2. What else is there to do at The Lego Movie World? 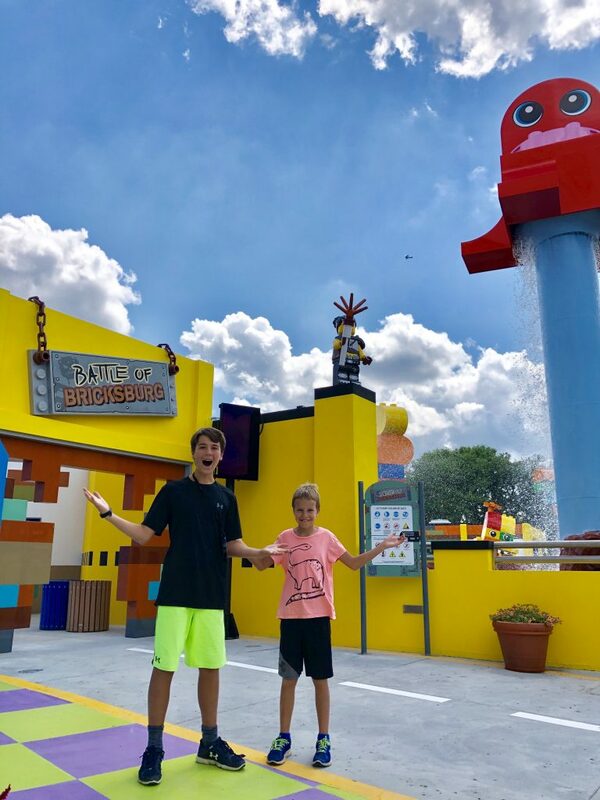 If rides aren’t your thing, there are several other reasons to visit The Lego Movie World at Legoland Florida. Overall, any fan of Legos will just be enamored with all of the little touches in this world that make you feel like a tiny Lego brick. From the gigantic buildings to the digital screen that makes up Unikitty’s face high atop Unikitty’s Disco Drop, there is so much to look at and enjoy! There’s also a large, multilevel playground in the middle of The Lego Movie World at Legoland. Benny’s Play Ship welcome guests to explore Benny’s spaceship that landed right in the middle of Bricksburg! This is a great place to wait with children who are too small for some of the rides. It’s also a great option for those in your party who may not want to get soaked on the Battle of Bricksburg. My kids could have stayed in this play area for hours! You can also meet your Lego friends at The Lego Movie World at Legoland. At Emmet’s Super Suite, you now have a permanent location to meet some of your favorite characters from The Lego Movie! We got some awesome photos and even danced with some of our favorite Lego characters. You have to check out my IG Story Highlights for Legoland to see more of the dance off! 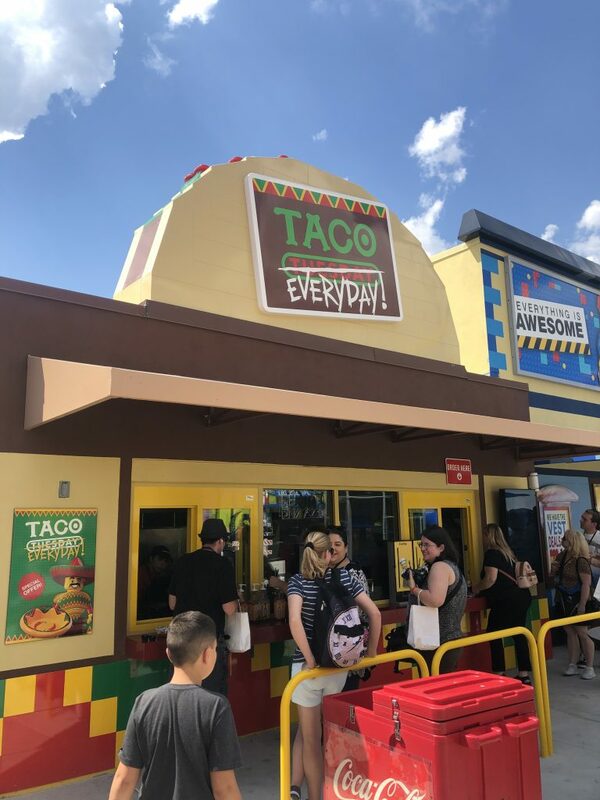 You can also grab a bite to eat at Taco Everyday! At this quick service restaurant, you don’t just eat tacos on Tuesday, you can enjoy them everyday! During the grand opening, we got to try some of the options, and they were delicious. Of course, there’s also a gift shop, which features some awesome and unique gifts for the Lego movie fans in your life. 3. But should I really go to The Lego Movie World at Legoland Florida? As a lifelong Floridian, I know all about theme parks. I am definitely spoiled when it comes to entertainment options. So when you live in Central Florida, or when you visit us here, I know all too well that you have options. There are lots of theme parks and attractions vying for your time and for your wallet. 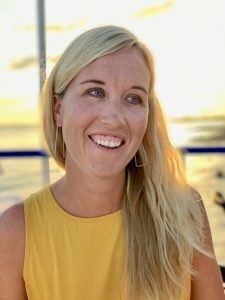 But as a mother of five, I can tell you, especially for the most avid Lego fans in my family, Legoland Florida holds a special kind of allure. 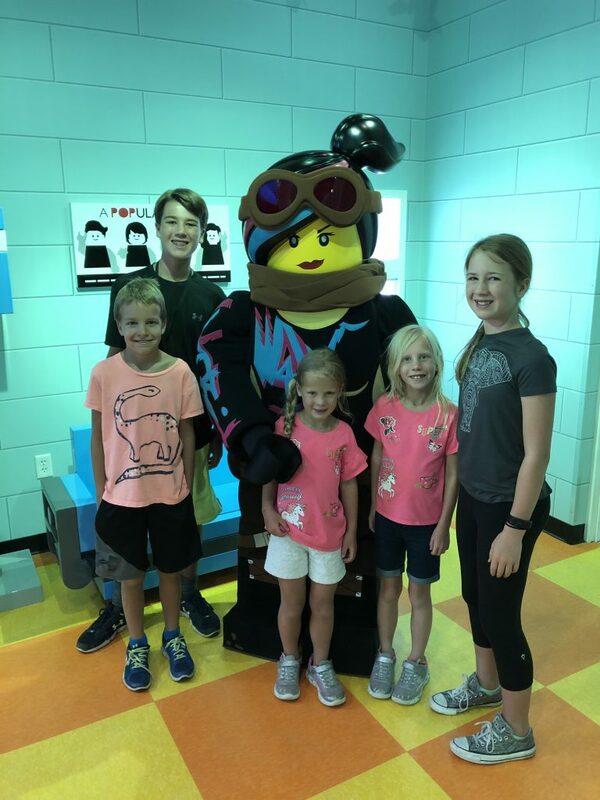 When your child spends their days building with Legos, dreaming of new creations, asking for more Lego sets, and trading minifigures with friends, stepping into Legoland Florida is like stepping into their dreams becoming reality. For the Lego fan in your life, there’s no other place in Central Florida where that’s true. With the opening of The Lego Movie World at Legoland, now little Lego fans (and even big ones!) can see one of their favorite movies come to life. And they can also be inspired to build bigger and better Lego creations of their own. 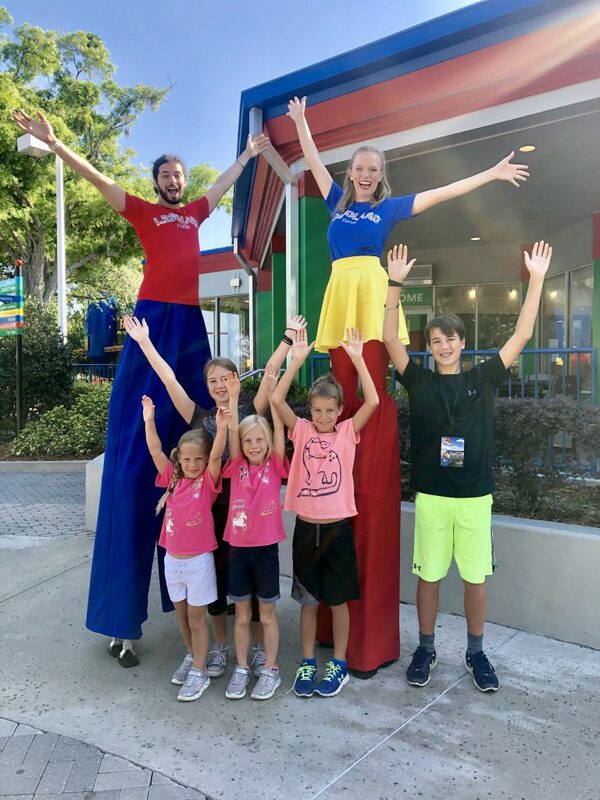 Legoland Florida really is #builtforkids. *We were provided with theme park admission in exchange for my honest and unbiased review. All opinions are my own. I actually really like the gift shops here too! It’s AMAZING they have a discount store, but the other prices were surprisingly good too! I got a $3 ornament! Also, there are items in the park you can’t get anywhere else, which is cool. That’s so true! I totally forgot to mention the discount gift shop. That place was AMAZING! Some of the best theme park souvenirs I’ve ever seen.